Transmission is a great torrent client. Although it's available for all operating systems, Transmission is mainly favored by Mac and Linux users. Unfortunately, as with all Torrenting, there can be dangers. Read this article to learn more about Transmission, and how a Transmission VPN can help protect your torrenting activities. Have a look at the summary below, and keep reading or use our menu on the right hand side to find out more information about Transmission, setting it up, and VPNs. Transmission is a BitTorrent client. It started out for Mac and Linux only, and from there it has built up a formidable reputation. Windows users can now also get in on the act. Transmission is 100% free and is available for Windows, Mac OS X/Mac OS, Linux (many distros), FreeBSD, Gentoo, and more. Although a competent BitTorrent client, the main draw of Transmission is its beautiful user interface, complete with Growl notifications for Mac users. It is also lightweight, completely free, and open source. Yay for Transmission! 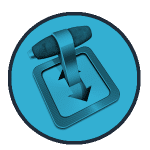 Transmission features webseed support, BitTorrent protocol encryption, watch directories, tracker editing, global and per-torrent speed limits, and more. It also supports optional add-ons that can expand its feature-set. These include RSS subscription tools and an XMBC/Kodi plugin. As always when peer-to-peer (P2P) downloading, it is vital to protect yourself with a Virtual Private Network (VPN) when using Transmission. For a detailed look at why this is, please check out our article on the Best VPNs for Torrenting, P2P, and Filesharing. For a discussion on using Transmission with a VPN and related issues, read on! Here are the recommended Transmission VPN services in more detail. 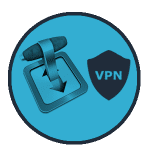 A VPN will protect you from punitive action by your Internet Service Provider (ISP) and copyright holders when downloading via Transmission. The VPN connection between your PC and the VPN server is encrypted. That means that your ISP cannot see what you’re doing on the internet. You access the internet via the VPN server, so your IP address appears to be that of the VPN server. Everyone else sharing the same file using a BitTorrent client will see the IP address of the VPN server, not your real IP address. Using a VPN is also useful for accessing torrent sites that your ISP has blocked at the behest of your government or copyright holders. Do please note that not all VPN providers allow torrenting on their service. Although they might not actively prevent you from doing it, they will cancel your service or even hand over your details if they receive a complaint from copyright holders. It is therefore important to always use a VPN for Transmission that allows P2P torrent downloading. These services promise to protect you, and they will. Unlike with Vuze and qBittorrent, it’s not possible to bind Transmission to your VPN interface. It makes it all the more important to use a kill switch. A kill switch prevents you from accessing the internet when not connected to a VPN service. It means that you won’t return to your computer after leaving it unattended, only to find that the VPN connection has gone down and you’ve been downloading illegal torrents for hours for all the world to see! Many VPN providers have a kill switch of some kind built into their software. It is sometimes called something obscure such as “network lock” or “secure IP”. Alternatively, you can use a third-party solution such as VPNetMon, VPN Check, or VPN Watcher. You can also build your own using firewall rules. 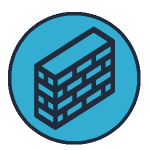 Note that firewall-based solutions are superior to ones that detect whether your VPN connection has dropped before disconnecting your internet, as a firewall solution should block all internet traffic outside the VPN. Any kill switch solution, however, is better than none! Transmission supports NAT Port Mapping Protocol (NAT-PMP) and Universal Plug and Play (UPnP) port mapping. 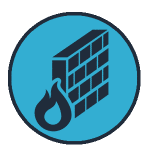 These technologies help overcome issues related to NAT firewalls by auto-configuring your port forwarding settings. Many VPN services use a NAT firewall to prevent incoming connections from the internet. It is generally a good thing, as it protects you against attacks. For P2P, however, it can cause problems, as it prevents all unsolicited incoming connections. Modern BitTorrent clients are very clever. They can overcome many NAT issues by initiating connections with torrents and other trackers. When another BitTorrent user wishes to download a file (or file piece) that you have, their software will alert your BitTorrent client to the fact, and your BitTorrent client will initiate the connection, thereby bypassing the NAT firewall. When both parties are behind a NAT firewall, however, this isn’t possible, as neither party can initiate a connection! It makes the P2P process much less efficient for all users. If the only people holding the file/file pieces that you want are also behind a NAT firewall, then tough cheese. As more people use VPNs to protect themselves while downloading, this problem is likely to get worse. The solution is port forwarding, where the VPN provider opens a port through its NAT firewall in order to allow P2P traffic through. Using a provider with this feature (which usually has to be manually activated) improves your P2P performance and is good P2P practice in general. Some BitTorrent clients require you to specify an open port on which to listen for incoming connections. 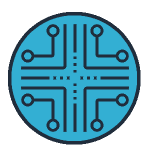 Others, such as Transmission, make the job easier by using automation technologies such as the NAT Port Mapping Protocol (NAT-PMP) and UPnP port mapping. It should be noted, though, that port forwarding issues are largely theoretical. I have downloaded torrents at high speeds for years with a VPN connection, and have never needed to use port forwarding. Because port forwarding is not something that most torrenters need worry about, this feature is not considered important enough to affect the ordering of our list above. I have, however, noted port forwarding as a feature where offered. 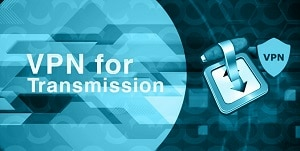 Download and install Transmission. It’s 100% free! Ensure you have a VPN running (this is optional but strongly recommended). It will bypass censorship of torrent sites, hide your IP from others you file-share with, and hide your downloads from your ISP. Visit a BitTorrent website. These websites host links to torrent files. You can browse for content that interests you, or search for something specific. Many websites include user-reviews of torrents, which can help you pick good ones. If your ISP blocks torrent sites, a VPN is also handy for unblocking them. When you’ve found the content you want, click on the torrent link or magnet link. Avoid “Direct download” type links, as these almost always connect to commercial services. The torrent will open in your BitTorrent client and begin downloading. When the download is 100% completed, enjoy! Transmission doesn’t include a built-in media player, but VLC is free, open source, and available on pretty much all platforms. It will play everything you throw at it. Seed the torrent (optional, but considered polite, as torrenting relies on users seeding in order to work). Just leave Transmission running with the torrent still active. That allows other users to download the torrent from your copy and is why torrenting is also known as file sharing. To find out your seed ratio in Transmission, right-click on a torrent in the main window -> Properties -> Information -> Unloaded. Proper netiquette requires that you upload to at least 100% (1:1 seed ratio). It means that you have uploaded at least as much of the file as you have downloaded. To use a VPN with Transmission, you need to have it running at the same time as Transmission. Use of a kill switch will ensure that Transmission doesn’t download anything except when the VPN is connected. If you want to check that your VPN is protecting your torrenting sessions, visit IPleak.net and activate Torrent Address Detection. It downloads a fake file to your computer via a magnet link, which will then be opened by Transmission and can be tracked by the website. If everything is working correctly, you should see neither your own IP address nor any IP address belonging to your Internet Service Provider (ISP). By default, Transmission doesn't allow proxy setting (SOCKS5 or otherwise). It was available on older versions but on newer versions, you have to do it in a roundabout way. To setup Transmission to use a proxy, read more on this link. Transmission is a great BitTorrent client. 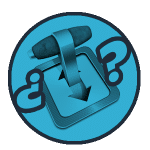 The perfect partner to any good BitTorrent client is a good VPN service that will keep you safe when downloading, so make sure you get a Transmission VPN today!